Fill those tasty olives with whatever filling you prefer using Norpro's olive stuffer. It is made of stainless steel and is great for inserting fillings, like blue cheese, almonds and peppers, to create your own freshly made stuffed olives. The grip is green in color, and soft enough to make filling easy on the hands. 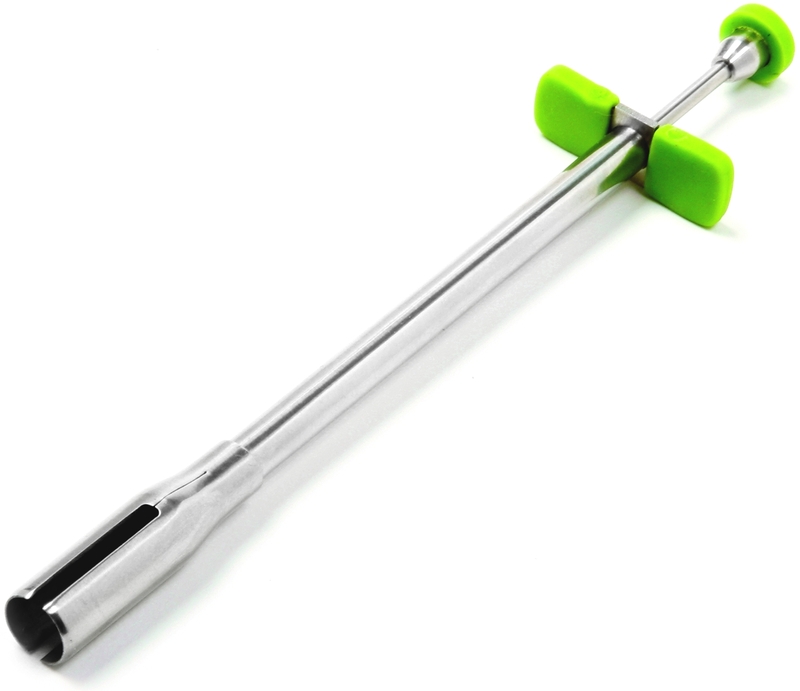 Filling olives for a whole party is easy with this tool, and when you're done, this tool is dishwasher safe for your convenience.